Your company has organised another conference. It’s a drab day ahead and you anticipate drinking lots of coffee to stay alert through a series of monotone speakers. As you arrive dynamic sounds of drumming fill the air and instantly lift your mood. African drummers in colourful costumes are beating vibrant rhythms at your conference venue! There’s a drum on every chair. In order to sit down, you need to pick up a drum. Curiosity takes over. You start playing a few beats, in time with the simple pulse that surrounds you. Your colleagues are also joining in, everyone is smiling. Even though you’ve never touched a drum, it’s second nature. This is the beginning of a fun-filled drumming adventure. Within minutes, your team is transformed into a percussion orchestra, finding a common beat. You leave feeling uplifted, exhilarated and more connected to your team than ever before. This program is an extension of our Interactive Drumming activity. 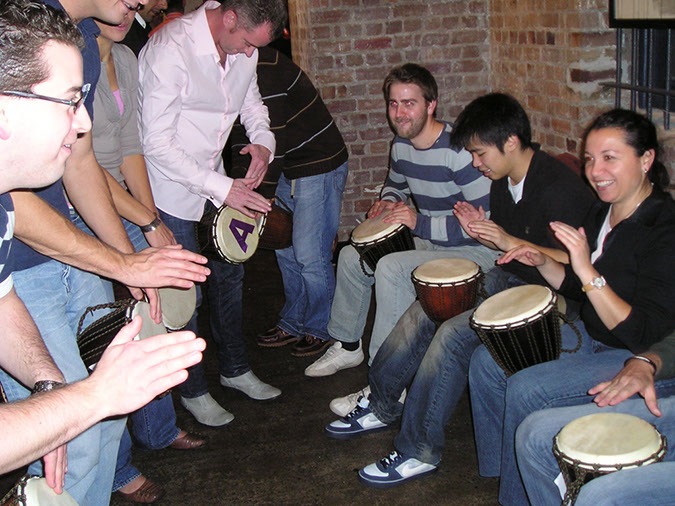 Your team is already empowered from their drumming experience, now they are ready to work more closely with their associates in smaller groups – creating their own rhythms. Learn more about the different ways to keep your team engaged. Even without instruments, we can make music. If you have just a few minutes available, we can get toes tapping, hands clapping and build teams through the original musical instrument – the human body. It’s simple & effective. 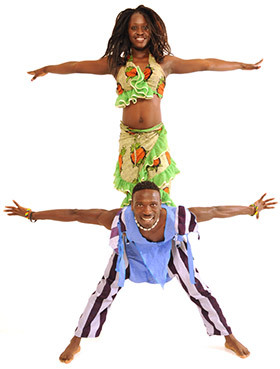 Our African drummers are experts in rhythm, they know how to break it down, and build it up!